The 2015 World Championship course is definitely a demanding one worthy of a World Championship. It takes place on the streets of Richmond, Virginia which means there will be a significant number of twists and turns likening it to a big downtown criterium. Richmond is built on the James River, which has played a long role in the history of Richmond from the Revolutionary War all the way to the Civil War and continues to play a role in the commerce and business to this day. The river is important to the World Championships course because it defines the hills around Richmond. The course descends down to the lower elevations of the river on each lap and then climbs out up on the hills surrounding it. Besides the highly stochastic nature of a twisty turn-filled course, there are three major obstacles, along with a solid run-up to the finish which is a gradual climb and late in the race determine the winner. Libby Hill is probably the most feared obstacle and since it is a cobbled climb, it is even more challenging for the riders. There are actually two hills in the Libby area and they will both put the sting in the riders’ legs. The first one is somewhat of a two step affair, coming from the lowest elevation point, climbing, and then turning onto the cobbled section near the top averaging 10 percent. This is not going to be a long climb, about half a mile, and on race day the pro men will most likely do this hill in well under two minutes. This makes a high anaerobic capacity a key energy system needed for success. Riders should be expected to put out between 500 to 600 watts for this hill alone. At the top of this first hill, the racers will be riding hard through the streets of Richmond and most likely in single file, as the narrowness of Libby Hill will create some bottlenecks initially. That will put the hurting on the riders in the back of the peloton once they crest the top of the hill. The second Libby Hill is even shorter at only 2/10ths of a mile. However, it comes right after a quick descent and when the riding is hard. This will be a another stinger of a hill at a 7 percent grade and I expect another 500 to 600 watt effort here as well. The third obstacle is the 23rd Street hill, a five percent grade, and not much is being made of this popper, but again, it comes right after the previous two hills. Stringing these three hills together with hard riding between each and plenty of turns makes for a section of the course, that could be as long as 15 minutes and at Functional Threshold Power (FTP) and above the whole time. The final part of the lap is a gradual climb up to the finish line which will not be easy, especially after the three hills before taken in combination. This first part includes another little popper hill at seven percent and gradually tapering off to three percent to the finish line. This final section should be where the winner could be determined from a small group of riders. It’s unlikely that the race will come down to a sprint finish, as the combination of turns, narrow roads and steep hills, will eliminate many of the pretenders in the race. Four hills each less than two minutes, one that is cobbled and steeper. Power requirements for the men will be 500 to 600 watts, and for the women, 400 to 500 watts. One longer more gradual hill lasting a total of 12 to 14 minutes that will cause fatigue late in the race. Over 30 turns on the course in a city street setting that will demand constant attention and awareness. Excellent Anaerobic Capacity to attack the hills and recover quickly. Great bike handling skills, the top riders will know how to ride very economically in the peloton through a city course. Fatigue Resistance as the race itself is long and the highly variable nature of it will demand more peaky power outputs than a normal road point to point stage. Most likely a strong rider with a high FTP, strong bike handling skills, and excellent sprint will do well here. 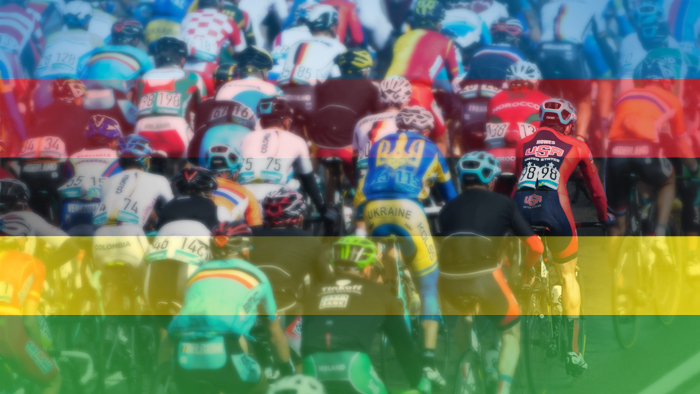 This course is nearly tailor made for someone like Taylor Phinney, Tyler Farrarr, Peter Sagan, or Alejandro Valverde. On the women’s side, Megan Guarnier, and Coryn Rivera could do really well.